Welcome back to another episode of our weekly Android show, AotA. Mat Lee here with Eric Finkenbiner and Nick Carroll discussing the latest Android news of the week including Eric’s Nexus 7 LTE experience, Nova Launcher 2.3 beta, homescreen evolution, quirky Google Now commands, Galaxy Nexus TI Omap drivers, Kit Kat love for your favorite custom rom, the OUYA UI refresh, this week’s app picks, and so much more. Thanks for checking out the show, read on for the notes and links. Episode 104 of our weekly Android show, AotA. Mat Lee here with Eric Finkenbiner, Shane Brady, Nick Carroll and Seth Heringer talking about the latest Android news of the week including but not limited to: the Motorola Spotlight Player, Ingress out of closed beta, the Nexus 5, Android 4.4 Kit Kat, Verizon’s anti competitive tablet with a stupid name, Rockstar patent trolls, The Oculus Rift for Android, this week’s app picks, and so much more! I also want to mention again that Google has decided to make each page have it’s own channel on YouTube. Our new vanity URL for AotA on Google+ is Google.com/+AttackoftheAndroids. 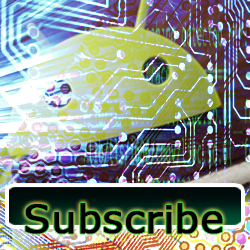 Please take a quick second and subscribe to the Attack of the Androids YouTube channel, that’s where these videos will be posted at from now on, so please subscribe. Thanks for checking out the show! Welcome back to another great episode of our weekly Android show, AotA! Mat Lee here with Eric Finkenbiner, Nick Carroll, and Ant Pruitt talking the latest Android news of the week including the Samsung Galaxy Gear, Google’s smartwatch, SMS in Hangouts, Project Ara, Cyanogenmod Pro and Community editions, this week’s app picks, and so much more. I also have a quick announcement. Google has decided to make each page have it’s own channel on YouTube. We now can be found at Google.com/+AttackoftheAndroids. We want you all to take a quick second and subscribe to the Attack of the Androids YouTube channel, that’s where these videos will be posted at, so please subscribe. Thanks for checking out the show! Here it is, episode 90 of our weekly Android talk show podcast thing, Attack of the Androids. Mat Lee here with Eric Finkenbiner and Nick Carroll chatting about the latest Android news of the week, including but not limited to the Motorola X phone, OUYA case mods, Android gaming, Chrome for Android Webrtc support, the Nexus 7 part 2, this week’s app picks and so much more. Thanks for checking out the show.